Bokrijk Open Air Museum, Genk. 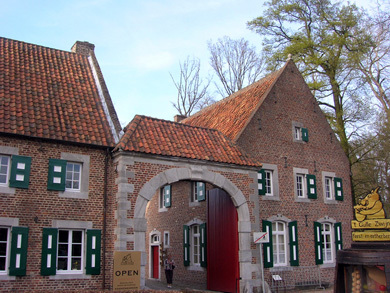 The Bokrijk Domain is a 550-hectare complex situated between Genk and Hasselt. It comprises a vast Open Air Museum and an Adventure Park. 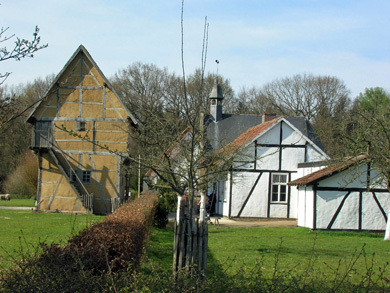 The Open Air Museum is the reconstruction of a 19th-century countryside village. 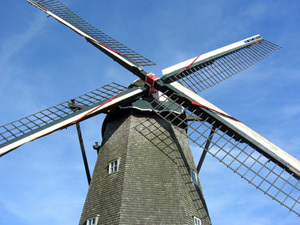 It has over 100 houses, a church, a windmill, and artisans wearing historical garments and working with the same tools as they would have 150 years ago. The Bokrijik Adventure Park is the largest open-air playground in Flanders. The domain also hosts vast public gardens, an important botanical garden (arboretum), and miles of walking routes and bicycle lanes. The domain itself is accessible for free all year round. 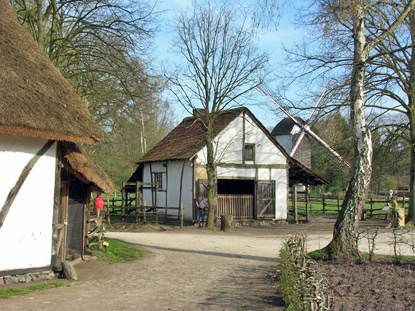 The Open Air Museum is open every day (except Mondays) from 10:00 am to 6:00 pm between April and September. Admission is 10 € for adults, 3 € for children and students aged 3 to 26 years old, and free under 3 years old. Bokrijk Park has its own train station, with hourly direct trains from Brussels (1h30min), Hasselt Station (10min) and Genk (5min). Alternatively, you can catch bus N°1 or N°46 from Hasselt station or bus G4 from Genk station.